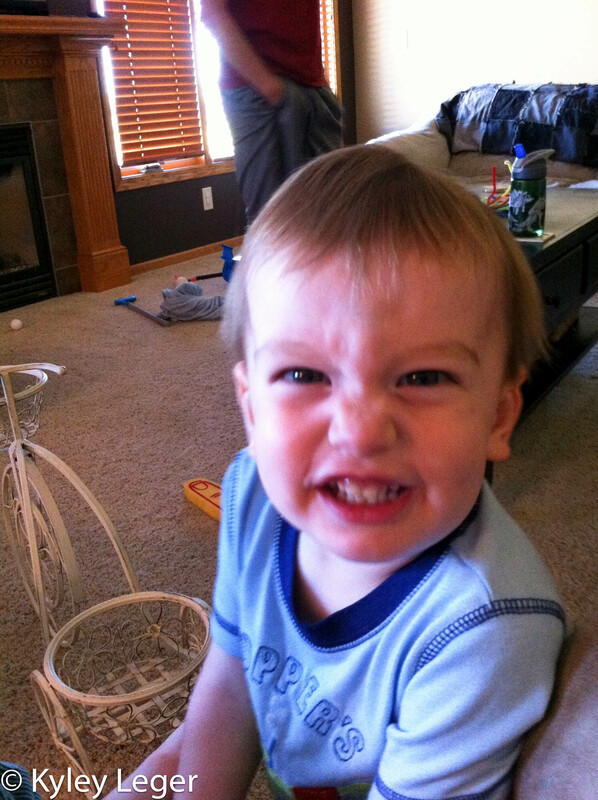 Thankfully, he didn’t push it around the tile floor too long before he decided the carpet was better. If you’re wondering where the plant is, I moved it to a place that gets more sun and decided the bike wasn’t a good fit for that spot. At this point I’m not sure if it would be better to pull attention away from an empty bike or if that will mean my plant is in danger. 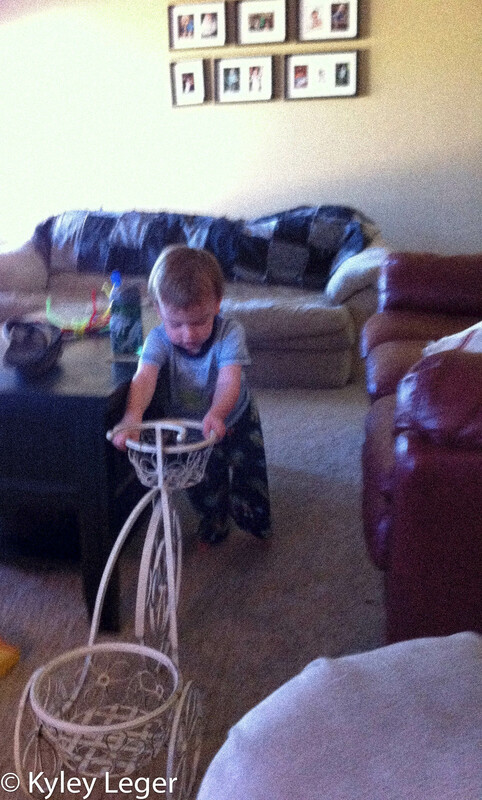 Of course pushing it around the living room wasn’t as exciting as riding in it. 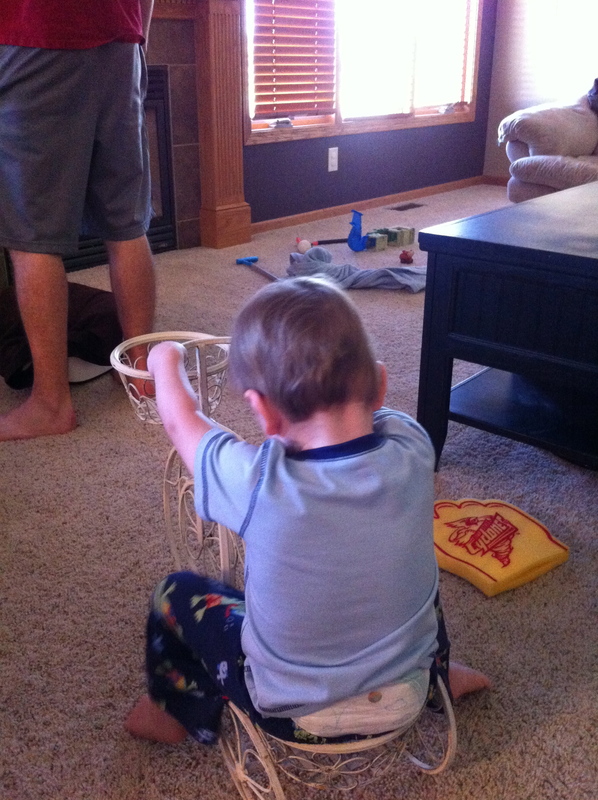 Thankfully, he couldn’t get it to move when he sat in it.